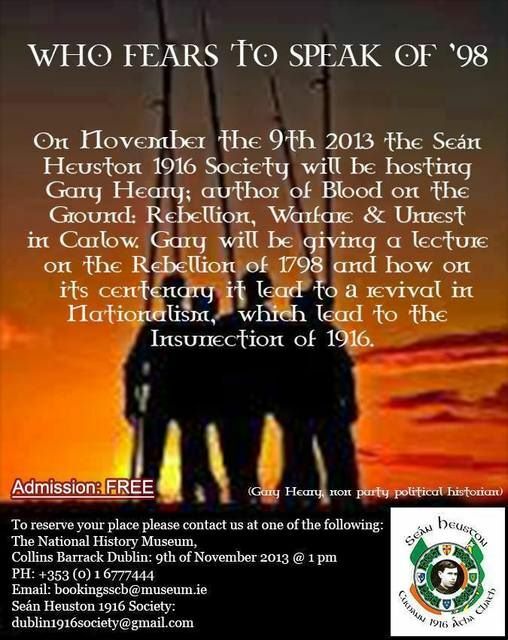 United Wolfe Tone Commemoration: Time for hope – time for radical change. The Peadar O’Donnell Socialist Republican Forum held their first commemoration at the grave of Theobald Wolfe Tone in Bodenstown, Co. Kildare, on Sunday, 20 August 2017. The gathering attracted a large crowd of socialist-republicans, communists, trade unionists, and women’s and community groups who marched from the village of Sallins to Bodenstown graveyard. 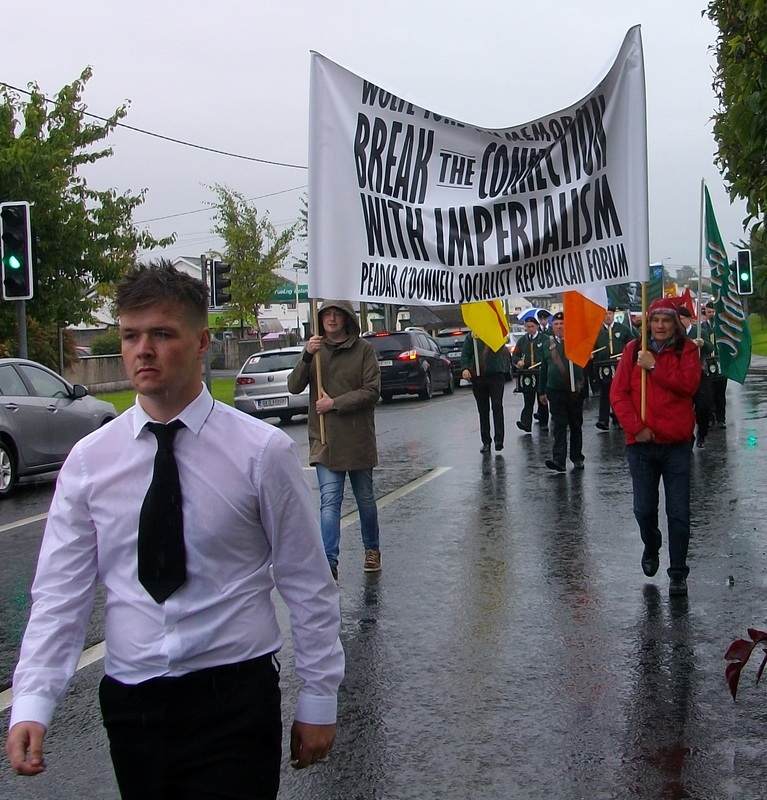 The march was led by a colour party from the 1916 Societies, followed by a large banner declaring “Break the Connection with Imperialism” carried by members of the Peadar O’Donnell Socialist Republican Forum. 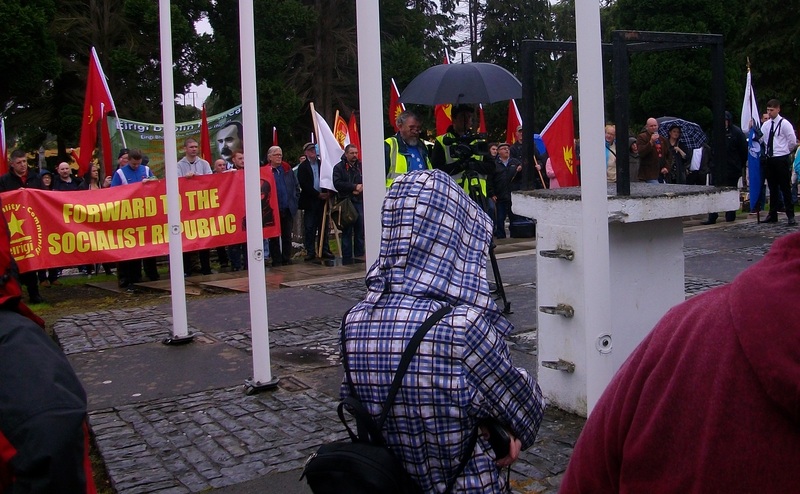 Colourful banners and flags from socialist-republican group Eirigi and the Communist Party of Ireland, along with rousing tunes from a republican flute band, lifted the spirits as the marchers made their way, in very wet conditions, to the monument in Bodenstown Churchyard. The main oration was delivered by John Douglas of Mandate trade union. Wreaths were laid by Eirigi, the International Brigades society, trade unionist Mick O’Reilly on behalf of Dublin Trades Council, the Peadar O’Donnell Socialist Republican Forum, Mandate trade union, the Communist Party of Ireland, 1916 Societies and many other organisations. The Internationale were sung and the clenched fist salute was given. 20 August, 2017, could be a historic date bringing together socialist-republicans, communists and trade unionists for the first time at Bodenstown in decades. The large contingent of young people evident at this event shows the continuing growth of left-wing republicanism that hopefully can be harnessed in the future for anti-capitalist and anti-imperialist projects. 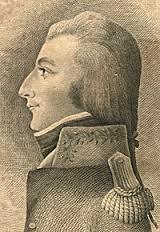 Comments Off on United Wolfe Tone Commemoration: Time for hope – time for radical change. I’ve written a feature-length article about this for another blog. Because it’s written for a mainly non-Irish audience, it explains things that wouldn’t need explaining to Irish readers, but hopefully is still well worth a read by this blog’s readership. I wish people would ensure posters are proof-read (*led* not lead – twice! ), but this looks like a great meeting. I hope it goes really well.